For the majority of people who hunt, we don’t usually have time to take down our treestands every year. 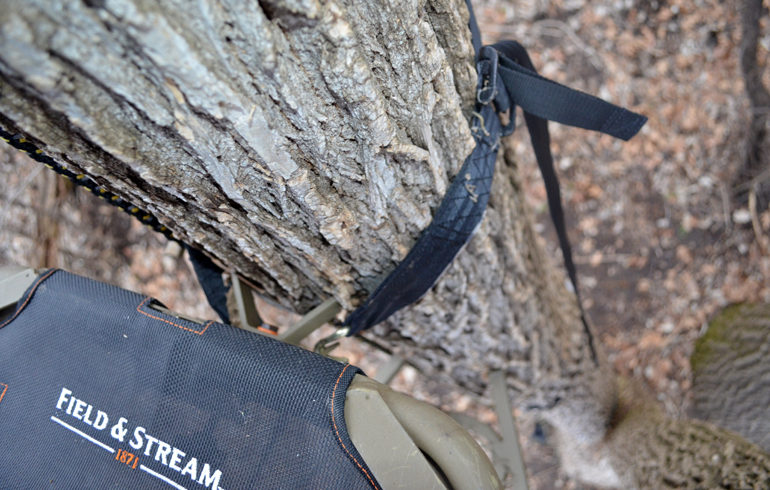 Next, you want to check the straps around your stand and also the straps for your steps leading up to the stand. These can start to wear with weather, stretch or tear. 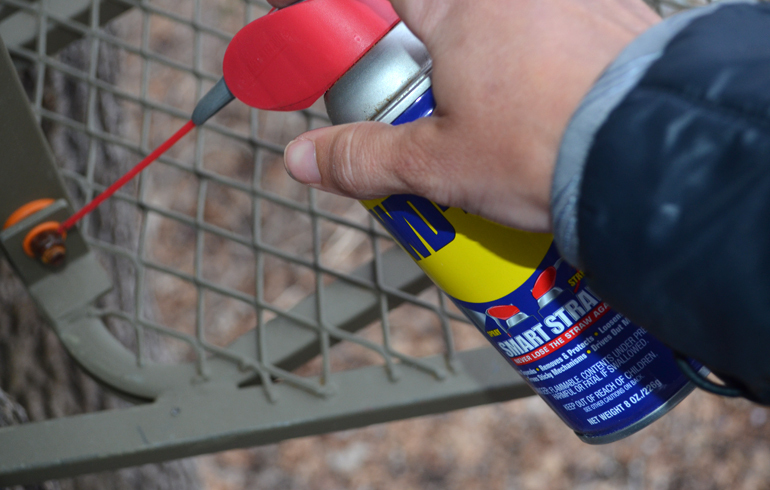 The next step I like to do is take a little WD-40 along and get any squeaks out that may have developed. 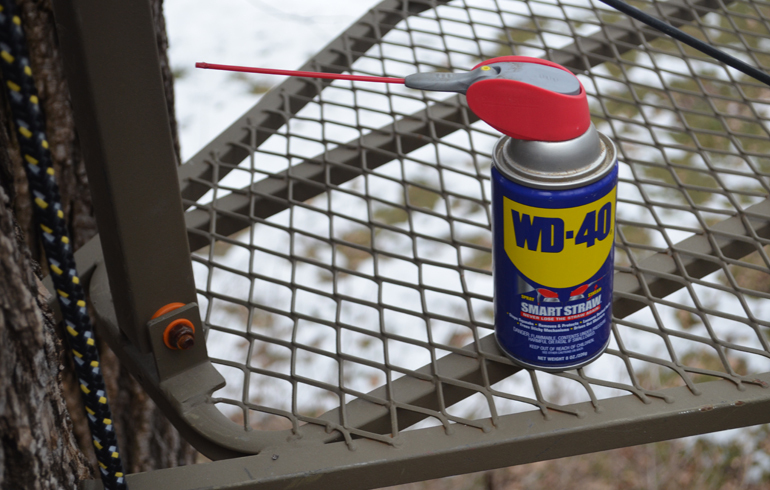 Some stands are great and never squeak, but the off season is a great time to fix this. If you have shooting rails on your stands, check to see if that makes any noise. Lift the seat up and see if this is quiet. Bounce on your stand a little or shift your weight around to see if it makes any noise that can be fixed now. While on stand also look for any additional areas where shooting lanes should be cut or marked. With all the leaves down you may see new opportunities that you could have missed during the season. Lastly, if you use Hunter Safety System lifelines you should take these down as well. I like to leave mine up all throughout the season, but as soon as the hunting is complete I go out and gather all the lifelines up. They are one of my favorite safety accessories out there because you are able to stay connected every time you go up and down your stand. While out checking your stands also be on the lookout for sheds in your area and new stand locations. I never head into the woods without some flagging tape just in case I happen to see a new stand location. Deer are constantly changing their patterns and this is a great time to get out to your hunting property. Walk the trails looking for rubs, sheds, trails, anything that may point to a new stand location that can improve your odds of success next season.